Other liver tests that doctors use to diagnose a liver problem include: the Fibrosure® test (a reliable alternative to a liver biopsy, and for autoimmune liver diseases: the antinuclear antibody (ANA) test, the anti-smooth muscle antibody (Anti-SMA) test, immunoglobulin G (IgG), and the Anti-Liver Kidney Microsomal Antibody (Anti-LKM) test. One of the other liver tests that has benefited patients the most is the Fibrosure® test. The Fibrosure® test is a noninvasive alternative to a liver biopsy. Fibrosure® has become a useful prognostic tool and is a no-risk method, compared to an invasive liver biopsy. The test defines a collective score of six individual blood serum test results. The Fibrosure® test score can determine the presence or extent of liver damage, and it is used to both diagnose and monitor individuals with liver disease. FibroSure® is a relatively new testing method, and only qualified labs may process the test. 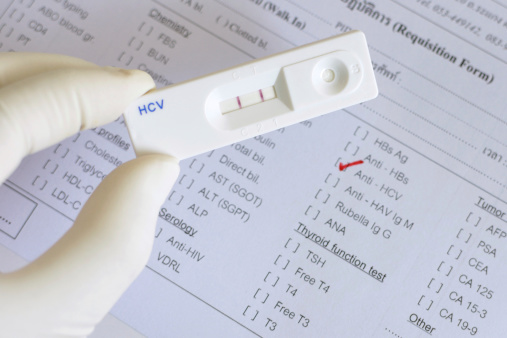 There are a collection of the liver tests used to identify the presence of an autoimmune hepatitis and liver disease as opposed to viral hepatitis and environmentally provoked liver disease. This test looks for an antibody that has formed in a cell's nucleus (center). When results for this test are high (<1:320), it may indicate type I autoimmune hepatitis, in which immune cells atttack the liver without cause. The presence of this antibody results in the formation of a protein against a muscle. Anti-SMA is strongly associated with type I autoimmune hepatitis. IgG is an immune protein (immunoglobulin) that is commonly elevated in individuals with autoimmune hepatitis. Anti-LKM forms against parts of the liver and kidney cells and often affects small children. It is present in type II autoimmune hepatitis.